The orange-covered Bible is my childhood Bible (my mum made the cover for me 🙂 ) – it’s one of those white, KJV, red-letter Bibles that were standard in the 1980s. I remember carrying it to church holding the green floral handles, tucking word treasures into the pockets on the inside of the cover. The red Bible was mine for the teen years – a standard Bible for the 1990s. It was NIV(!) which was modern at the time 🙂 It came with me to youth group and summer camp, it had water and juice and paint and other assorted things spilled on it. It was my favourite coaster too. Ah the disrespect. But also the love – this Bible is well-used and well-loved. I can’t even open it anymore because all the pages would fall out! And it’s marked up and holds lists of favourite verses in the notes section at the back, and my old address and phone number on the inside cover – in case I ever lost it 🙂 I did treasure this Bible immensely as I started to work through faith matters on my own. The Blue NIV Study Bible was the 1st Bible I picked out on my own. I was 23, a newly-rededicated Christian after a few years of living somewhat outside my religious upbringing (although never lost my faith in Christ). I bought it at a christian bookstore on the west coast, with some money my former employer had given me for just this occasion. I was starting Bible college at Rocky Mountain in Alberta, and was visiting a friend who lived in Victoria, BC before I began classes. My former employer was a chiropractor named Dr. James Dean (he had the famous name 1st if you can believe it) who had been a missionary with Wycliffe for 45 years. This after graduating from the 1st class of the Canadian Chiropractic College which opened in 1945. He started practicing chiropractic officially in his “retirement”, although he’d been adjusting people throughout his missionary years. I came to work for him when he was about 74. His office is where I came back to faith, where I met Josh, where I remembered the life I wanted to live. I’m sure Dr. Dean prayed for me quite a bit 🙂 He just went home to heaven for Christmas – on Dec 24th of 2018 – at the age of 96. A life well lived… absolutely… I am glad to have known someone like him in my life… but I digress… back to the Bibles. Dr. Dean gave me a goodbye gift of money to buy a proper Study Bible for Bible college. And so I did. And I used it countless times over the next couple of decades of my life. 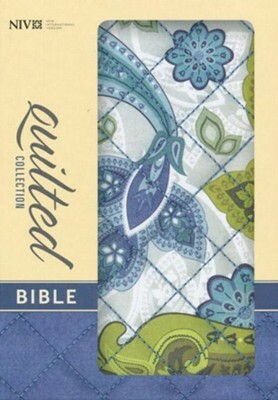 The other Bibles are family heirlooms – passed down or gifted through the years. So I read through the Bible in one year from 2012-2013. And I’ve been wanting to do that again, every year I try, and I don’t succeed. It’s great that I was able to find a way to read through the Bible once, through a unique reading plan, journalling, and sharing thoughts online. And it prompted me to publish my journal (Thy Word), and publish reading plans/blank journals every year since (Bible in a Year books). But now what? How do I get through the Bible a second time? Third? Fourth? Back up – I’ll start with reading through it a second time and go from there. How do I read through the Bible a second time? Up until now I’ve been trying to read through with the journal notes I compiled in my original Bible in a Year journey back in 2012-2013. It’s not working. This year I am making new notes, seeing what grabs my attention and speaks to me in 2019, and I’m sharing them online again. I’ve been posting to the Bible in a Year Facebook page again. I’m only 2 weeks in, but so far so good. Hopefully this does it. Seeing the Word of God from a fresh perspective. Writing down and sharing the fresh thoughts and reflections and favourite verses. I hope it helps you journey through the Bible. I’ve had at least a few people tell me that it does. This is wonderful to know. That was the intent – to journey with others through the Word.